This polishing mitten for Flute has "I love my Flute" stamped on the front of it, for those flute enthusiasts who are adamant about keeping their flute clean and shiny. 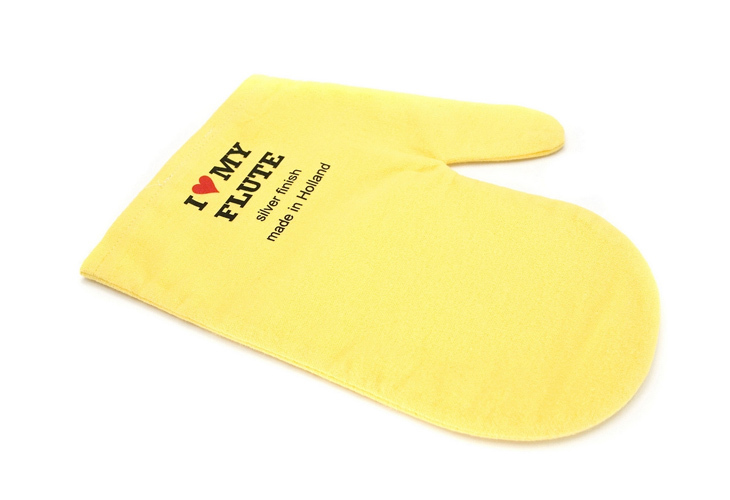 An ideal gift to encourage a person to take care of their flute. Specifically designed to polish silver. The silver mitten encourages me to clean the flute more frequently. It's a great idea. Still need to look at more delicate ways of cleaning between the keys, but that's part of the course of looking after the instrument.